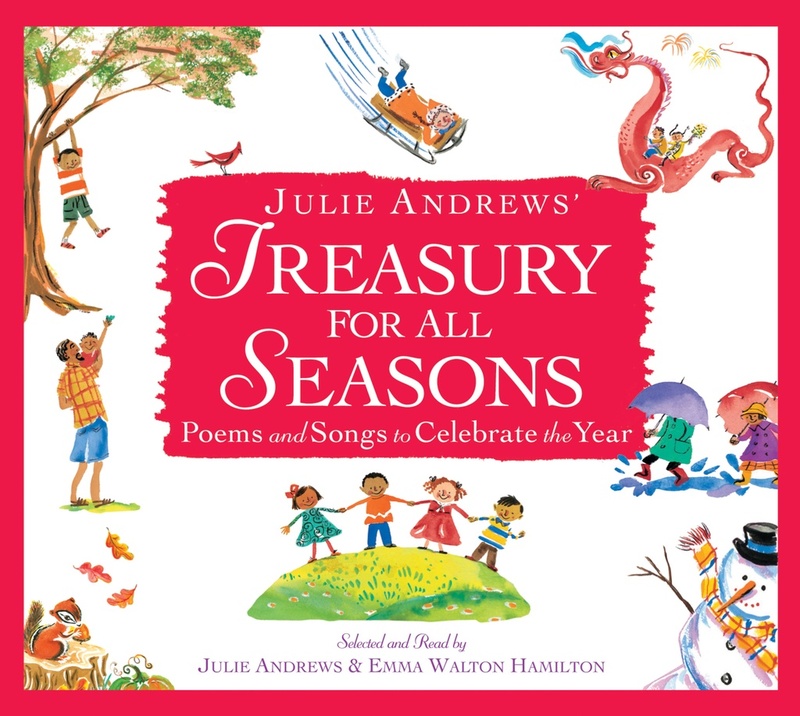 In Treasury for all Seasons, Julie Andrews and her daughter, Emma Walton Hamilton, selected poems and organized them (with introductory sections and including some of their own pieces) using the progression of a year as their guide, from January through to December. Every page of poetry or song includes painted illustrations by Marjorie Priceman (of Zin! Zin! A Violin fame, a book I discovered via No Time for Flashcards’ list Books Every Family Needs). Priceman’s paintings are bright, inviting, and engaging – a perfect fit for a book of poetry. I received this book as a free review copy and at almost 200 pages total, which is not a bad thing, it took some time to read through. 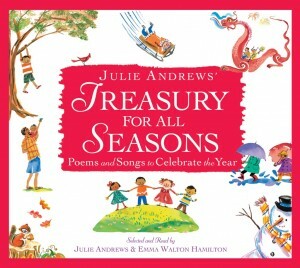 Many poems I read aloud to my kids but there were some that veg families will want to skip or be ready to discuss. Actually, I think with any survey of traditions, holidays, and seasons such as this, caregivers will know the kids in their lives will have many questions. My daughter was most curious about mentions of hot dogs and fishing in the summer poems and the religious references. Food and memory go together for us all, so helping kids understand that others have different associations with the seasons is valuable though probably more readily understood by children a little older than mine (who are four and two). Dr. Seuss’ poem posits that if you weren’t you, you might be “three baked potatoes,” among other things, which made me chuckle and E.B. White’s poem manages to make spiders romantic but if you’ve read Charlotte’s Web you wouldn’t be surprised. As with another poetry collection I’ve reviewed for Vegbooks, I’m more than happy to answer questions about the poems featured in this book. Just let me know in the comments.